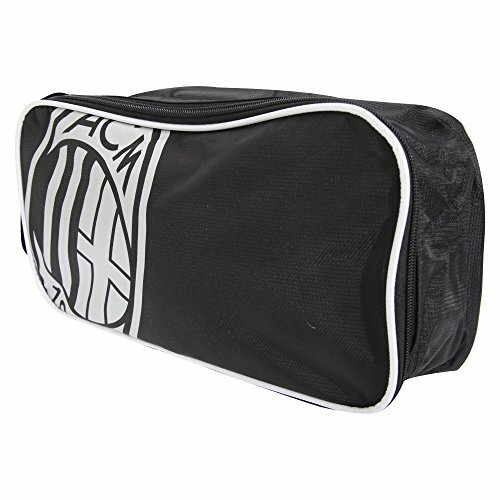 Boot bag with AC Milan branding. Design features metallic foil print AC Milan football crest. Main compartment secured by zip fastener. Carry handle for easy transportation. Perfect for any AC Milan fan to transport their sports shoes or soccer boots to and from practice. Size (approx): 6 x 3.5 x 14in. 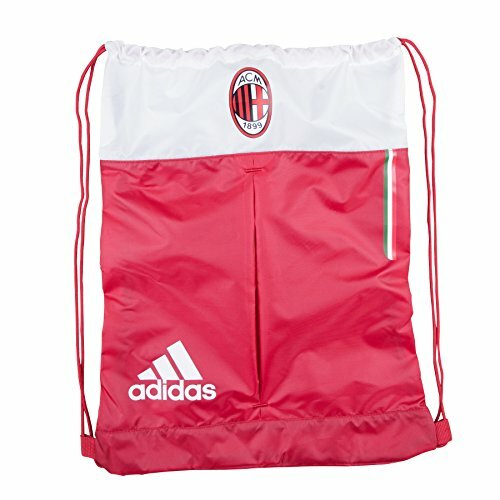 The AC Milan Foil Print Shoe Bag is an official product manufactured under licence for AC Milan Football Club. 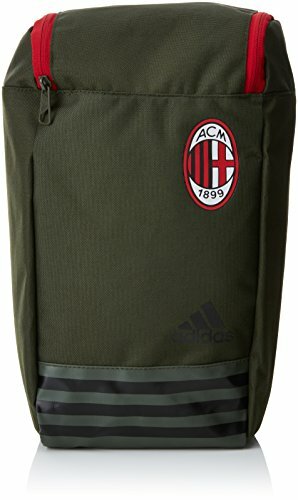 Boot bag with AC Milan branding. Main compartment secured by zip fastener. Carry handle for easy transportation. 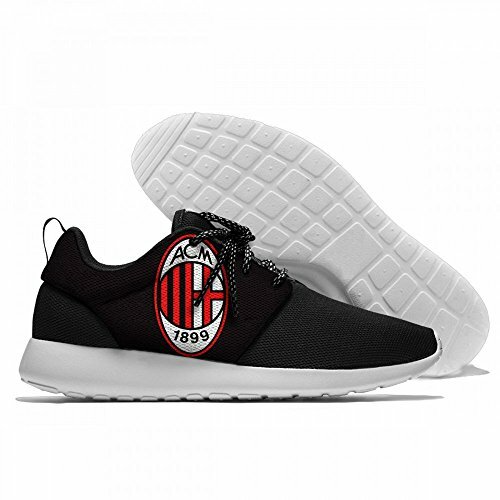 Great as a gift for AC Milan fans and ideal for storing football boots. Size (approx): 12 x 6.5 x 5 inches. 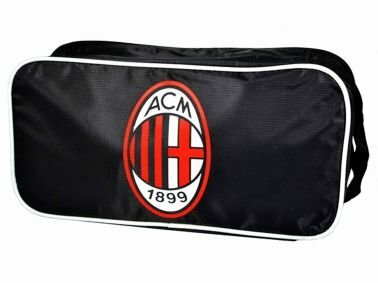 The AC Milan Fade Shoe/Boot Bag is an official product manufactured under licence for AC Milan Football Club. Features one main compartment for storage, screenprinted official team graphics, 16"x20" dimensions, and it is made of 100% polyester. Manufactured by Adidas and officially licensed. 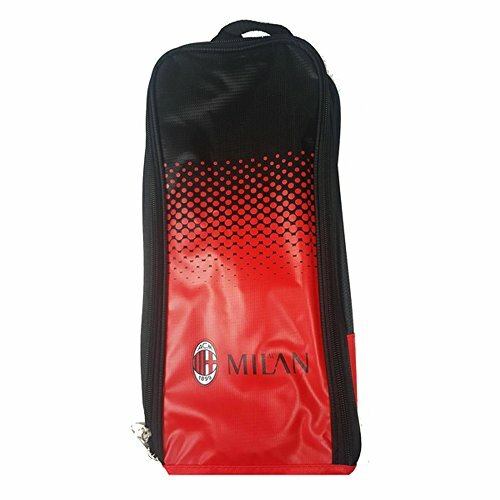 Gym bag with drawstring closure and AC Milan branding. Design features metallic foil print football crest. Large main compartment, making it easily adaptable as a school or gym bag. Ideal for carrying training gear, shoes or boots. 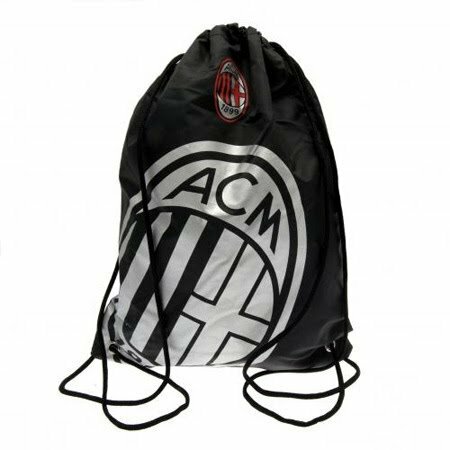 The AC Milan Foil Print Gym Bag is an official product manufactured under licence for AC Milan. 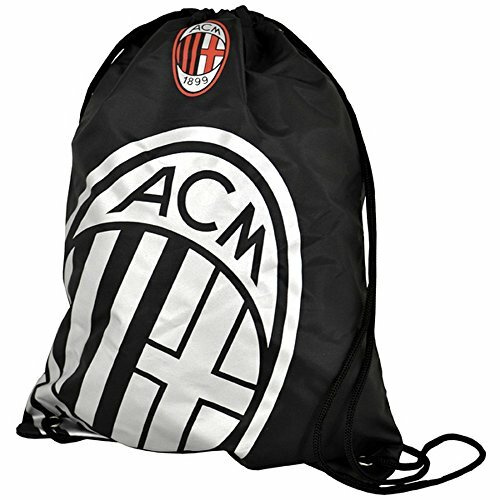 This official AC Milan bootbag is great for the gym, school or work and is ideal for all Milan fans.